Home » Gardening Tips » Creating Winter Storage for Canna Lilly’s or other roots, bulbs or seeds. Some growers stratify seeds like dogwoods or Japanese maple seeds in a cold, but not freezing space. Some actually put them in a cloth bag and hang them in the well, far above the water level but at least a few feet down because the air in the well is never cold enough to freeze. A few years ago I did a video and talking about frozen ground and why and where it does and not freeze. But I have no idea what the video was supposed to be about and can’t find it. I’ll have to shoot a new version. But the short answer is this. Here in zone 5 northern Ohio it gets cold. I’m probably about a mile from Lake Erie and that huge body of water freezes over just about every winter, often times with 24″ of ice or more. Couple of years ago we saw temps down to minus 15 then minus 22. But here’s something very few people know or understand and as growers we can use this to our advantage. Here in Ohio most of our water meters are not in the house, but in metal vault in the front yard. These vaults are about 24″ in diameter and have cast iron lids. They are only 30 to 36 inches deep. Most of the water meters are about 18″ from the surface, or 18″ from that cast iron lid. I spent 25 years working with those water meters and I learned a few things. The vaults that were located in the front yard, in the lawn, almost never froze no matter how cold it got. Especially if that lid was about one inch below the grass. 22 degrees below zero and that water meter just 18″ from that steel lid did not freeze. The grass actually helped to act as an insulator to keep the wind from hitting the steel lid. Water vaults that ended up in sidewalks or concrete or gravel drives froze quite often. We used to have to put customers on “winter run” program and allow them to let the water drip all winter to keep water moving through the meter so it wouldn’t freeze. This always happened with vaults that were in concrete drives or sidewalks, or gravel drives. But it never happened to vaults that were in the lawn. Those never froze. Why? Because the heat coming from the ground below those vaults keep them way above freezing. Even thought they were only 30″ deep, the ground heat stayed ahead of the cold air over top of the metal lids. Here’s another observation and really think about this. We’ve all heard that in the event of a tornado, just lay in a ditch and you’ll be safe. Over the years I observed that in the fall, when the leaves fall and blow across the yards, the leaves that land on the water vault lid that is just an inch or two below the grass line, never blow away. Once there, they stay there. The wind goes right over top of them. And now another observation. As meter readers we learned to look across a snow covered lawn and from 50′ away you could locate the water meter because the heat from the vault would warm the metal lid and melt the snow on top of the lid and we could easily find the water meters because there would be a depression in the snow. That speaks to the ground heat in the vault. However, if that water vault had even a small amount of leaves laying on the lid before it snowed, the leaves would act as an insulator and keep the snow from melting, and therefore actually keep the air inside the vault warmer. And make it more difficult for us to find the water meters in the snow. If you dig a hole and bury even a five gallon bucket, but better a 30 gallon plastic drum with the top cut out, you have instant winter storage for things like cana bulbs. Cover the top of the drum with a 3/4″ plywood because the wood won’t trans locate the cold like metal does. The wood is an insulator. 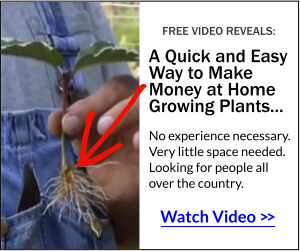 In this video I am standing in an underground storage box that I built for storing bare root trees. And in this video you can see me opening the lids on this box and removing trees when it’s time to plant. Before refrigeration, gardeners would dig a hole, line it with straw and put their cabbages in the hole. The ground stayed cool but not frozen and the cabbages would last all winter. When they wanted something to stay cold they would shovel snow in on top. It is amazing how many months the snow would last without melting. Many fancier homes had root cellars. where they stored their crops. Excellent Mike. Maybe I could use this method to overwinter my tender perennials such as geraniums. Once dormant it should work fine. I have enjoyed your first hand information. You speak to me as a neighbor and I value your advice. I live on the West Coast and years of gardening has kept me entertained as well a provide us with fresh veggies and fruit. A real win, win for me. Age and mobility issues means less active, but I keep learning and can always the lessons on to younger gardeners.